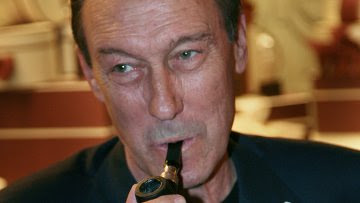 MOSCOW, May 20 (RIA Novosti) - Russian actor Oleg Yankovksy, best known in the West for his work with director Andrei Tarkovksy, died on Wednesday morning in a Moscow hospital at the age of 65. Russian media reported that he died of cancer. Yankovsky appeared in more than 70 films during his more than 40-year career, including the role of a wizard in the 1978 film "An Everyday Miracle," and the eponymous beast of the 1988 hit "To Kill the Dragon." He was best known however in the West for his roles in Mirror and Nostalgia by legendary experimental director Andrei Tarkovsky. Along with pop diva Alla Pugachyova, he was the last person to be awarded the title People's Artist of the Soviet Union before the collapse of the U.S.S.R. in 1991. "Yanokovsky's charisma, the immensity of his personality and his talent meant that his presence brought more to a scene than the actual role," Roman Balayan, who directed the actor in six films, told RIA Novosti. "In his silence... there was always a mystery - something left unsaid, multiple meanings, aristocratism and depth," he added. Yanokovsky was also a renowned theater actor, and had been a popular figure at Moscow's Lenkom Theatre for over 30 years. "This is a terrible blow to Lenkom," said the theater's artistic director, Mark Zakharov. "We had hoped for his recovery until the last." Mourners gathered outside the theatre on Wednesday to lay flowers in memory of Yanokovsky's life and work.